Milk is an essential drink which provides us lots of nutrients and vitamins. These nutrients and vitamins are of much importance when it comes to bodybuilding. Since our birth, we have been drinking milk and it’s helping us to make our body strong and healthy. Now, there are people who don’t like the milk for its taste and other various reasons. Here is a list of 7 alternatives to milk which are healthy and delicious too. Carry on reading to know more about them. Cashews are a good source of protein, vitamin B, and E, and contains minerals such as magnesium, copper, iron, zinc which helps to support healthy teeth and bones. They contain monounsaturated fatty acids such as oleic acid which helps in regulating blood pressure and cholesterol for heart health. 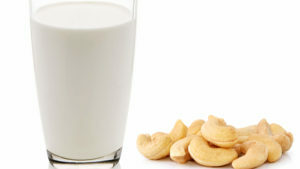 Cashew milk is a good alternative to milk and you can make it at home easily. Raw cashew milk is rich and buttery and closely resembles the texture of dairy milk. This substitute for milk is produced by blending cashews with water and a little bit of sweetener and salt and it doesn’t need straining at all. This high-calorie drink has a higher chunk of protein compared to milk and has lots of nutrients. They are used in smoothies, desserts, stews, and soups and are very delicious. While making milk of cashew, try to purchase fresh cashews from a supplier who has high turnover. Keep in mind that unlike all nuts, the high-fat content in them makes them vulnerable to rancidity. So always store your cashews in an airtight container in the fridge. They should be kept like this for around four months. Most of the raw cashews which you purchase are not actually raw. They are just not roasted and are steamed out of their shell. Raw cashews are harvested without any heating and are split open out of their shell by hand which leaves the cashew nut raw. The bud is left intact and can sprout and grow. They contain more nutrients than the heated cashews which are not actually raw. Take the cashew and soak it in a glass or ceramic bowl or large glass jar and cover the whole with filtered water. Now add one teaspoon of Celtic salt and a splash of fresh lemon juice or you can also opt for vinegar. Cover the container with a towel such that air can pass through the towel and allow it to soak at room temperature for two hours. Without taking the towel out, drain all the water from the jar but do not use the drained water in making milk. Rinse the cashews thoroughly for a few times more so as to remove the enzyme inhibitors and anti-nutrients. Put the rinsed cashews, fresh water, and salt in your blender and blend it around for sixty seconds until the mixture becomes smooth and creamy. Your cashew milk is ready. Are you looking for an alternative to milk which is lower in calorific value but provide same nutrients and vitamins compared to milk? Then the almond milk is the answer. Cow milk has 30 calories of proteins whereas almond milk has 1 calorie per gram. Wanna know how to make almond milk? The process of almond milk is similar to that of brewing coffee. Soak the almonds overnight in water and blend in water until they become smooth. Then strain the mixture with the help of cheesecloth or filter. Almonds are rich sources of fiber, protein, and calcium but almond milk has none of them. This is because when you turn the almonds into a liquid, then none of the nutrients or fibers are transferred to the final product. 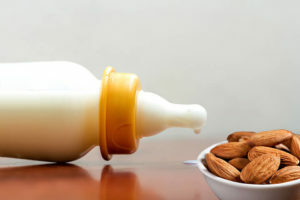 Almond milk which is found in the store is fortified with nutrients such as calcium and vitamin D to look the almond milk comparable to dairy milk. They are generally low in calories and contain no saturated fat. It can’t be said particularly that which milk is healthier as the answer depends upon a person’s dietary requirements. If you can’t tolerate lactose and want low-calorie milk then almond milk is preferable for you. Whereas cow’s milk on the hand is rich in protein and calcium and has been consumed safely for many centuries. Both these milk can be incorporated into a healthy diet, but cow’s milk, on the other hand, is naturally rich in protein and calcium. 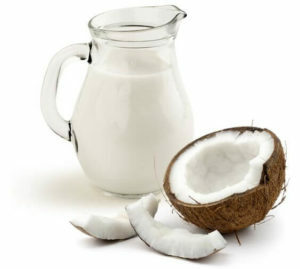 Coconut nut milk is another substitute for milk which is made out of white mesocarp of coconut. This drink has a lot of calories, sugar, and fats in it. Coconuts are highly nutritious and are rich in fiber, vitamin B and C including sodium, calcium, magnesium, and phosphorus. Unlike cow’s milk coconut milk is free of lactose and can be used as a milk substitute for those who are lactose intolerant. Coconut milk is a great choice for vegans. Flax is such a substitute for milk which has lowest calories. If you want to lose your weight then try this. Flax can be used to make the base for smoothie snack. They are high in fiber and rich in alpha-linolenic acid which is used to prevent and treat heart and blood vessels. Flax milk also helps in preventing heart attack and lowers high blood pressure. When fortified, flax seeds has as much calcium as dairy milk, so it is beneficial for those who need a healthy and adequate level of calcium. This is another good alternative to milk which is full of protein and fiber. This drink has low fat and low amount of sugar in it. Soy milk is a bean extract of soybeans and commonly sold in sweetened, unsweetened and flavored varieties which include chocolate and vanilla. Soy milk is nutritionally equivalent to cow’s milk in many ways. Soy milk is often fortified with calcium, vitamin A, and D and has 8 to 10 gram of protein per servings. It also contains isoflavones which are associated with reducing heart diseases. However, there are cases where prostate cancer has occurred due to consumption of soy milk and might also negatively impact fertility in men. This rich carbohydrate source is another substitute for milk. Everyone all around the world eats rice and aware of its nutritional value. It is made from boiled rice, rice starch, and brown syrup. Rice milk is the most hypo allergic of the milk alternative. It is free of gluten, soy, and nuts which is important for those people who cannot tolerate these ingredients. However, if you are watching over your weight then you must keep in mind that rice milk is rich carbohydrates. It has low protein and calcium as compared to dairy milk. They are also thin and watery too, so it is not the best substitute for cow’s milk. This is another alternative to milk which tastes bit nutty and is best for those who can’t eat dairy food for allergy or medical reasons. Although they are not as popular as almond or soy milk, hemp is a vegan alternative to cow’s milk. Hemp is inaccurately associated with marijuana, and they are made out of cannabis seeds and water. Sometimes the idea of drinking is unappealing to people. But hemp ilk contains no THC and in no way the milk is considered as drug or illegal product. Hemp milk is not available everywhere but as more the people discover about its benefit, the more it is gaining popularity. This milk is particularly praised by vegans and those who can tolerate lactose as the milk is completely natural and easier to digest than traditional milk. Full of omega-3 fatty acid, this alternative can help you to become healthy. They contain low saturated fat and supply a wealth of vitamins and minerals including calcium. They are also beneficial for skin as the significant level of vitamin E and A which are two antioxidant compounds that are good for your diet and improves the health of your skin by reducing the amount of oxidative stress which leads to wrinkles, inflammation and other signs of aging. This milk contains no sugar and is gluten free which is a good option for a diabetes patient. Hemp milk contains no cholesterol but a good amount of potassium which helps in lowering blood pressure. However, excessive consumption may lead to bad stomach. Well, these things are easily available and pretty affordable. Some of them are even cheaper than milk. Thus if you want to shift from milk, you can easily rely upon these because they are nothing lesser than pure milk in terms of nutritional value.